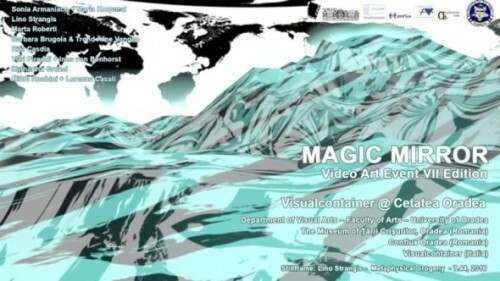 Visualcontainer as partner of Magic Mirror, it’s proud to present a special installative videoart selection at Oradea Fortress in the frame of the event and during the Night of Museums in Oradea, also. “Associating the mirror with the reason has been an intensive subject of philosophic debate since Antiquity. According to Marcus Terentius Varro (116 BC – 27 BC), some legends tell about magic mirrors of Persian origins, that could reflect the future. Nowadays the fascination of mirrors and their multiple realities are treated with the same interest by science, art, literature, philosophy, psychology and anthropology.